Overlay Mix -Extremely breathable single layer mesh body, suede leather and synthetic leather. Fits like a SOCK! 3 Stripes flexible supportive TPU stripes teamed with integrated sole panel reinforcing the sock like fit. 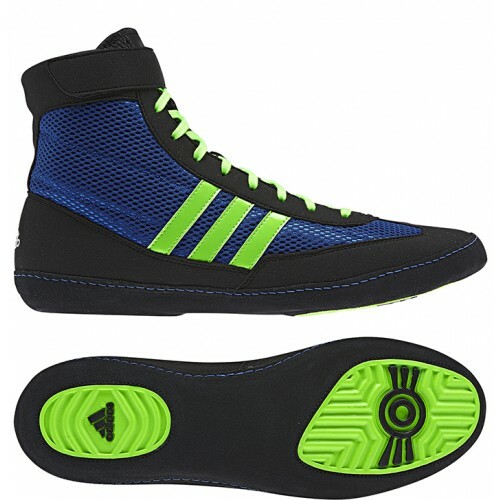 Leather Outsole - split suede outsole overlays allow for the right amount of spin on the mat. EVA Wedge - ternal, die cut midsole assists perfect attack stance.